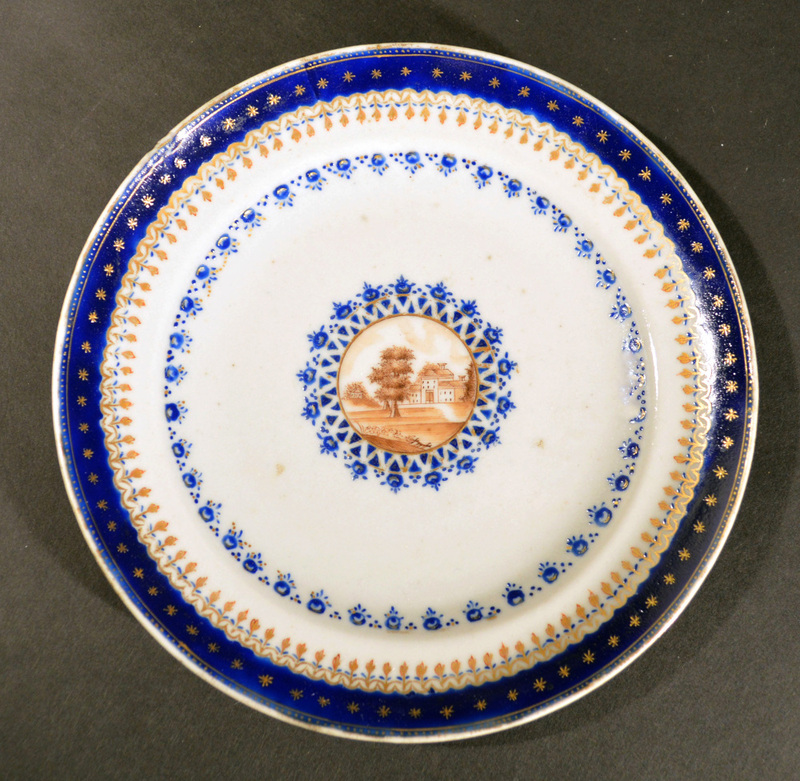 Antique Dealers Association of America - Chinese Export Porcelain Plate made for the American Market, Circa 1785. 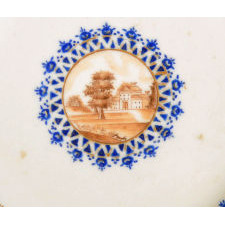 The small plate has a central roundel in brown depicting an as yet group of unidentified large buildings in a bucolic landscape with trees and grassland surrounded by a double blue enamel border. 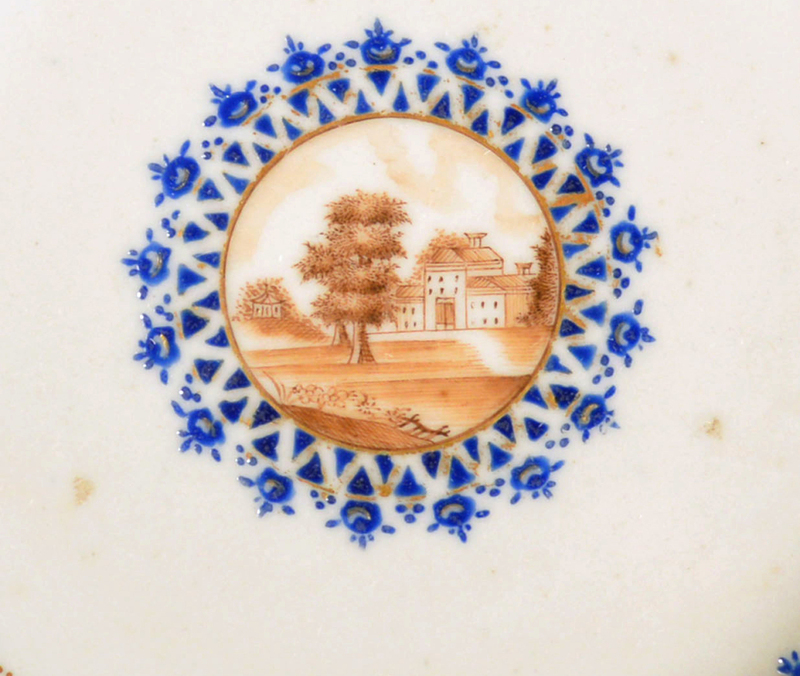 The outer border is then repeated on the edge of the central well facing in. 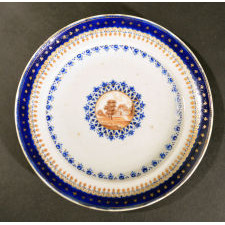 The rim with a blue and gold star band with a second inner border of gold flower heads.